A lot of cannabis growers are worried about the odor of flowering (budding) cannabis plants, and may be trying to avoid letting smells leak out of the grow room. Many of you may have heard of “ONA Gel” or other ONA products. ONA products don’t just cover up smells, they actually get rid of them permanently! ONA products are regularly used at dispensaries to cover up the smell of cannabis. 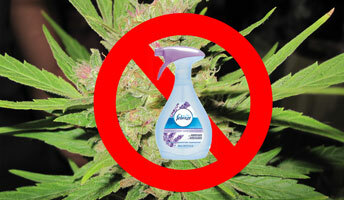 Never let ONA products share air with your flowering cannabis plants! ONA products are so strong they do not have to physically touch your buds in order to have a permanent effect on their taste and smell. If air which has been treated with ONA Gel comes in contact with your buds for a significant amount of time, the treated air will begin to permanently change the taste/smell of the buds (giving them a perfume-like smell and taste). This happens even if the ONA and cannabis buds never touch each other. If ONA Gel is kept in your tent or grow room throughout the entire flowering stage, the effect can be overwhelming and buds may smell like ONA Gel or taste like perfume or chemicals after harvest. This is because the ONA gel actually binds to smells instead of covering them up. Smells are permantly changed when they come in contact with ONA products. The perfume smell seems to actually become “attached” to your buds, and there’s no way to get rid of it at that point, even after months of curing. Don’t use ONA products near your plants in the flowering stage unless you want buds that smell like perfume and taste like chemicals. Febreeze too! Any type of “odor neutralizer” can have the same effect. Even if you never get any ON your plants, the buds can still be affected if they share the same air. 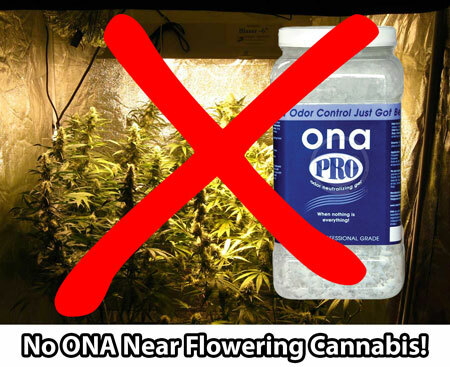 Although ONA offers some of the strongest and most effective products on the market (and therefore ONA seems to have the greatest effect), you shouldn’t be using any other odor neutralizers anywhere near your grow room either. What Exactly Is ONA Gel? The ONA formulations have been around for a long time – initial development began over 25 years ago. The scientist who is credited with inventing the first forms of ONA gel noticed that when terpenes were released into the air, strong smells were reduced. More development created formulations that not only masked smells, but permanently removed them from the air. “AiR8” is the term to describe ONA gel when it’s used for industrial or commercial applications (for example to neutralize smells in sewer plants). The basic formulation is the same – AiR8 is used by big businesses, while ONA products are packaged and sold to individual consumers or small business who want to permanently remove smells. Chemical Reaction (The “Pairs” Theory) — This is probably the most problematic part of ONA products for cannabis growers. The chemical reaction caused by ONA gel involves the permanent bonding of the odorous molecule (VOC) and the ONA active ingredients. This mechanism transforms the original smell from what it was into something new. As a result, the original odor disappears, to be replaced with a new molecule that is meant to smell like ONA gel. 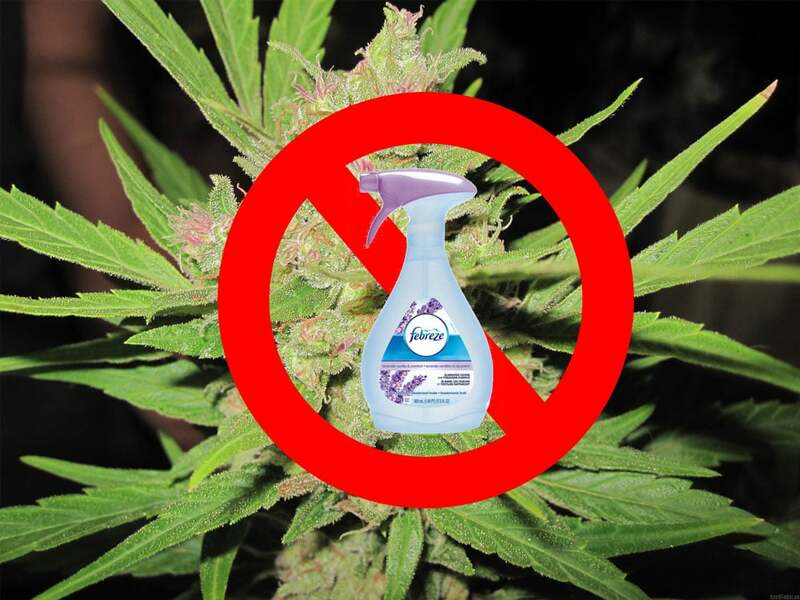 If you’re worried about smells in the home, it is recommended you keep ONA products in your living areas (or otherwise outside the grow room). For example. ONA gel can be placed in your living room or hallways to make sure the smell of cannabis does not leak into your living areas. 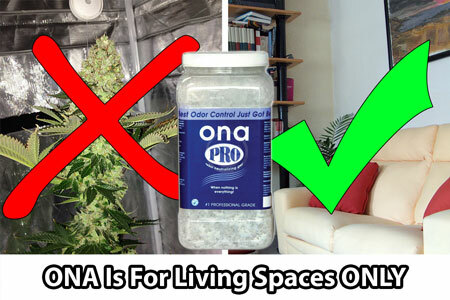 The main idea is to prevent ONA products from ever sharing air with your buds. There Are Better Ways to Cover Up Smells! If you can afford it (and have room), I definitely recommend installing a carbon scrubber as part of your exhaust system to neutralize smells as the hot air escapes out your exhaust hole. With a carbon scrubber, there’s zero worry about affecting the smell/taste of your buds. Carbon scrubbers will pull scents out of the air, so exhaust air smells neutral, but carbon scrubbers don’t permanently alter smells the way that ONA products can. A carbon scrubber also lasts a lot longer than a single package of ONA gel. As long as you make sure there’s enough suction in the tent from the exhaust fan (tent should be bowing inwards slightly), no smelly air will be able to escape. It won’t just protect the air coming from your exhaust, if set up properly it will also prevent smelly air from leaking out of the grow room into your living areas. For example, with the carbon filter and negative air pressure set up in my grow tent, I can’t even smell the flowering plants in my grow room until I actually open up the tent. Conclusion: ONA for living spaces only! Hopefully this Public Service Announcement will prevent that from happening to you! Better Taste, Better Smell – Produce The Best Buds You Can! 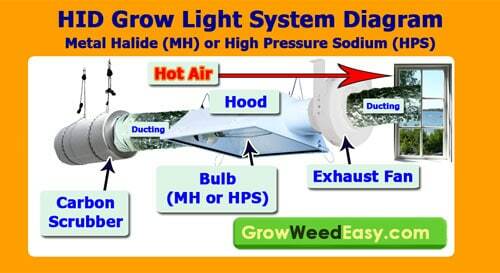 Next harvest, want to make sure your cannabis plants produce buds with the best taste and smell possible? The following article will teach you exactly what you need to do to maximize the natural taste and smell of your cannabis buds. In addition to learning about everything you can do to increase smells, you can also learn how to avoid common mistakes (like using ONA Gel too close to your plants) that can get in the way of your goals!